You've got to hand it to the skilled artisan team who make John Hardy jewelry, like this bracelet from the Classic Chain collection; stones are hand-set and hand-selected, while the precious metal is hand-woven. Two sterling silver strands are twisted around each other, forming a flattering and fashionable foundation for the pave diamond double button push clasp that takes center stage in the piece. 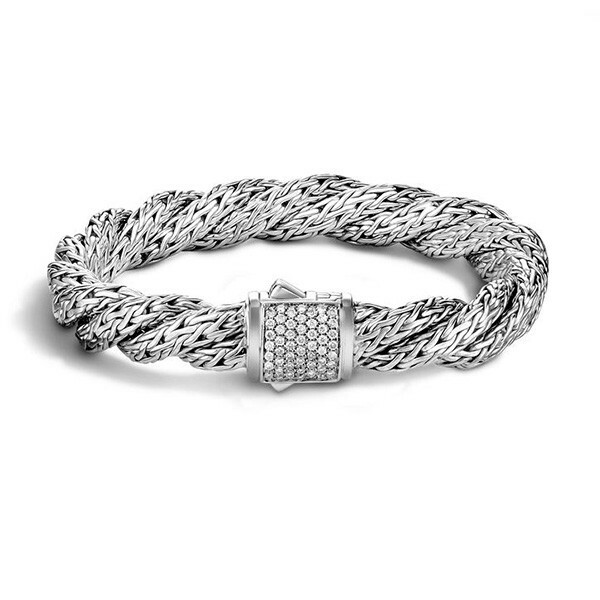 You will sparkle plenty when you wear this John Hardy bracelet! 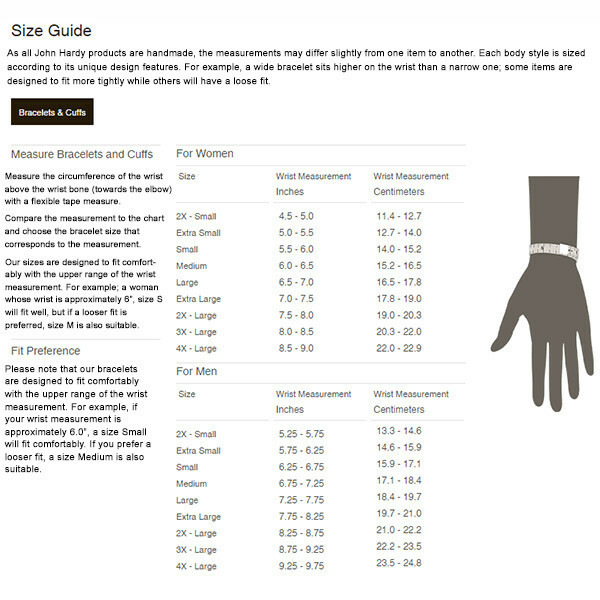 Wrist Size 5.5" - 6.0"